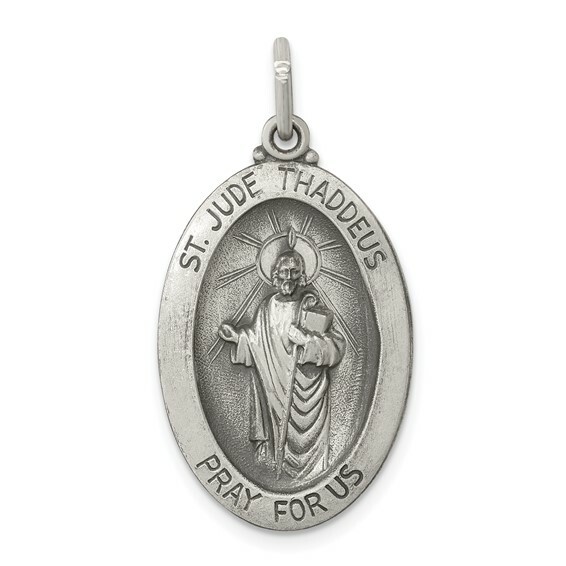 St Jude medal is made of solid, antiqued sterling silver. Oval medal measures 7/8 inch tall by 9/16 inch wide without bail. Patron saint of hospitals and lost causes. Chain not included.